Fewer than 14% of homes on the market in San Luis Obispo are affordable for a median income family (Source: National Association of Home Builders). According to reliable sources such as ATTOM Data Solutions and the US Department of Housing and Urban Development; San Luis Obispo County has a population of 272,177, median home price of $589K, unemployment of 2.6%, average annual wage of $44,700, median household income of $59,628, 2019 rental affordability of 60.3% and 2018 home affordability of 107.1%. 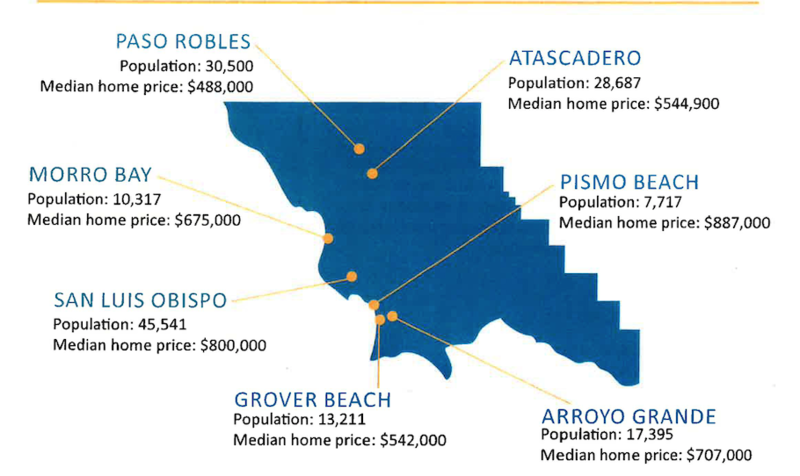 Less than 25% of San Luis Obispo County residents can afford a median-priced home. With all this in mind, our market in San Luis Obispo remains robust. We are seeing more homes for sale, but also very quick absorption of new listings and the market appears to be heating up since the early part of February 2019. The buying season for student rental properties begins NOW, so it is a very good time to list a home. Please consider Monique to give you a progressive market plan to list and get top dollar for your home, or contact her to find a home for yourself, investment home property (while your student goes to college), land, lot or commercial property in our very popular central coast area. Our area affordability may be low, but the desire to live here, remains very high!